Photo: Lifelong Lion, Ed MacDonald greets all with a welcoming smile. The Monroe Lions Club put on their hopefully annual pancake breakfast.With the help of the all vounteer staff, the pancake was a fun and stree free event. Featuring all you can eat pancakes, with "Bob Evans Sausage", the proceeds go to the Lions Club to fund their many helpful community projects. Most notably their work with the blind. 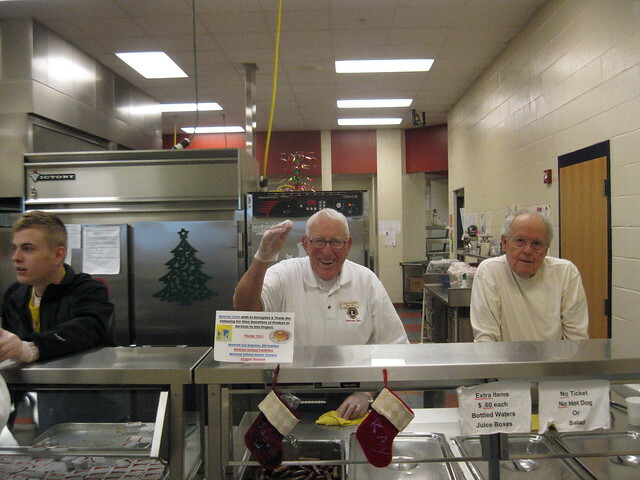 With help from the Monore National Honor Society students, the pancake breakfast ran very smoothly. 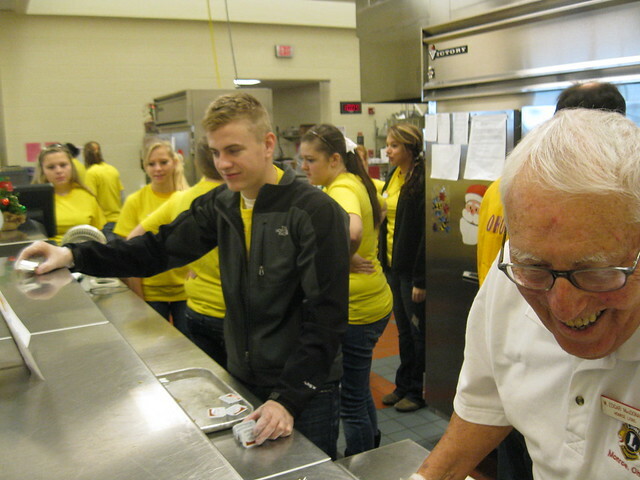 The students recieve credit toward community service requirements as set forth in the program. Today, it is estimated that more than one million students participate in activities of the NHS and NJHS. NHS and NJHS chapters are found in all 50 states, the District of Columbia, Puerto Rico, many U.S. Territories, and Canada. Chapter membership not only recognizes students for their accomplishments, but challenges them to develop further through active involvement in school activities and community service.